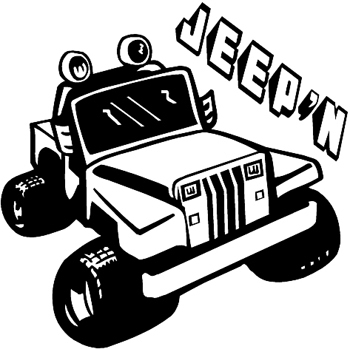 'Jeep'n' lettering vinyl graphic decal. You can add Vinyl Lettering to this sticker or decal FREE. Showcase your off road side with this vinyl sticker. Personalize it by adding your name and favorite number! Color and words can be added free and easily on line as you order. We custom make your order to your specifications. We can work with you.